fact-based report done on the Amaila Falls hydropower project. In a statement released by the Office of the Leader of the Opposition, it was stated that the study is intended to help Guyanese citizens and businesses access an independent assessment of the merits of Amaila Falls. 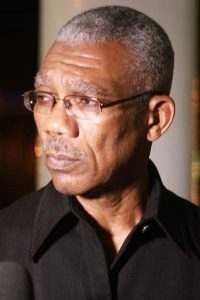 According to the opposition, the Coalition government misled the National Assembly when it said that Amaila Falls will cost the Guyana Power and Light Company US$2.6B over 20 years. The statement said that measured against 2012 prices, in fact, it will save GPL $2B over 20 years. The PPP/C is of the view that by 2017, Amaila Falls could be generating about 50 per cent more electricity than the entire GPL supply in 2012, for about half the cost. The statement said that customers’ electricity bills would significantly decrease in stages , 90 per cent cheaper than they were in 2012. 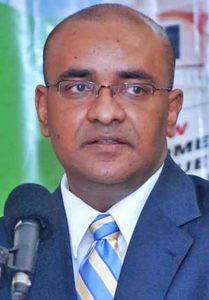 According to the PPP/C, in 2015 Jagdeo had offered to help the government understand and progress the Amaila Falls Hydropower project. Further, the PPP/C accused the PNC arm of the coalition of excluding Guyana from the global capital markets in the first place and for decades of zero investment in Guyana that resulted. The statement further accused the government of committing economic vandalism once again by stopping the project in its track when the coalition assumed power in 2015. According to the PPP/C these statements are false, inclusive of the other countless justifications made over the last two years for rejecting the project. The party said that since before 2013 the APNU-AFC had access to the same information on the project as the PPP/C. The PPP/C said that the Amaila Falls Hydropower project should be almost operational by now – and about to provide most Guyanese citizens and businesses with reliable, affordable, clean energy. Today, the party said Guyana should be within months of becoming one of the top ten users of clean energy in the world. The Amaila Falls project is expected to generate 165-megawatts of hydro power and is supposed to be Guyana’s most expensive one to date, if it gets off the ground. Government has already spent an additional US$35M-plus to build more than 160 kilometers of road to the Amaila Falls site. .